Don't miss any of the mysteries in the Vicky Bliss series. First off I first got the other edition of this book. I loved the charactors and the story, but with picking up the second book read by Barbara I was much more in love with the series. I HAD to get this reading, and I plead with you to pick up this book. You will love it!!! Very much a good old pulp story with a treasure hunt and all. A Nancy Drew for adults!!! Barbara Mertz -- writing here under the pen name "Elizabeth Peters" -- commands awe and appreciation, whatever you may think of her novels. She has been publishing books -- and not just novels -- for half a century, now, after having earned her Ph.D. in Egyptology at the age of 23. Smart? You bet! And her intelligence comes through, even in her silly, fun Vicky Bliss series. I have enjoyed all of her novels that I have listened to so far, many of them several times. Most people probably know her best for her Amelia Peabody series; and I think that Ms Mertz, herself, likes those novels the best of her vast œuvre. However, I have a special fondness for the Vicky Bliss series, perhaps because of its unabashed silliness and fun humor. And Barbara Rosenblat -- whom, I understand, is good friends with Barbara Mertz (Elizabeth Peters) -- may have been born to perform the novels of Elizabeth Peters ... or was Barbara Mertz born to write material for Barbara Rosenblat to perform? Either way, who could resist the pairing of these two geniuses? A consummate actor in any setting, Barbara Rosenblat shines here. 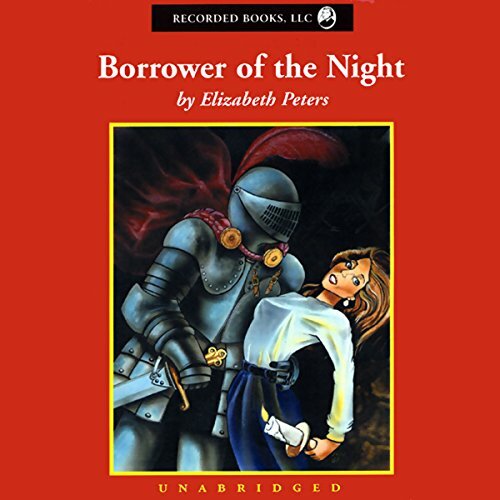 She has the perfect German accent required in "Borrower of the Night," and the limitless range of voices needed to distinguish the characters from one another. She even does an excellent job with the mens' voices. But, for me, her performance of the minor character, Miss Burton, puts the frosting on this cake. 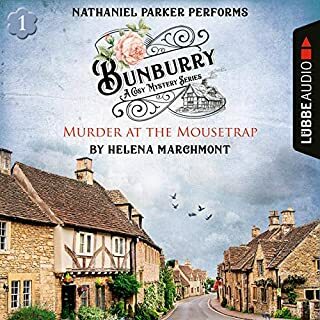 Buy this audiobook, just for the fun of it. The first book in the series is so much better when treated as just that - a first book - it introduces the cast and sets the stage for the entire series. Wonderful! I'm hoping Ms. Peters will give us one more book in the series. If you didn't care for this book, don't give up! You won't regret it. I never have. And Barbara Rosenblat is the absolute cat's pajamas! She knows how to bring the characters to life. Keep listening! 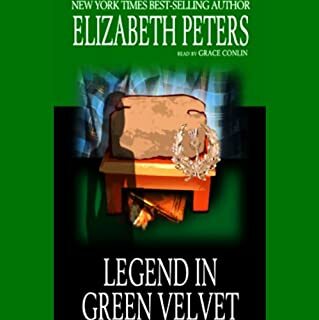 This is another fun read by Elizabeth Peters. As usual, I found Ms. Peters' characters well developed, and the story moves along well enough. 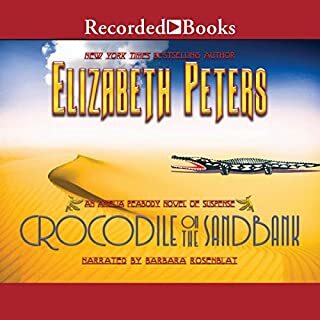 Ms. Rosenblatt is a wonderful narrator who infuses each character with personality and color, so that even in an audible version, one can see the story as it unfolds. If you are looking to escape and be entertained, this is a good choice. I will be reading the rest of the Vicky Bliss series after this. Barbara Rosenblat - what a gift! 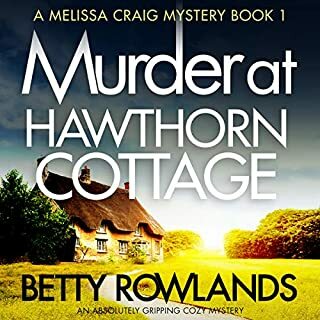 This is a great mystery - clean and funny with an entertaining heroine and hero. What makes this book come to life is the narrator. Barbara Rosenblat is simply amazing! Her intonations and different voices for each character make this book easy to follow and picture clearly in my head. I have listened to Ms. Rosenblat narrate many books, and have come to the conclusion to listen to anything she narrates - because she will make it thoroughly entertaining! This is the first book in the Vicki Bliss series. She is an art historian, but looks like a pin-up. She wants to be respected for her brains, not her looks,and is determined to outperform all the men in her field, including her boyfriend, Tony. She heads to Europe to find a long missing art piece, and the fun starts! Secret passages, cryptic messages, perambulating suits of armor, and more make this a fun romp that will keep you giggling. And looking for the next book in the series! 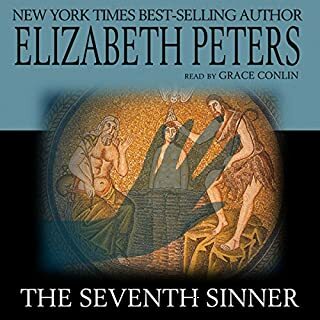 I love Elizabeth Peters' series with Amelia Peabody but this story seemed full of holes and illogical at various places. I would not recommend it and did not send it to anyone. I didn't think it was entirely logical. Why were all these people gathering at the same time to find the missing artifact for example. After all these years, the sudden gathering at the same time and place seemed far fetched. Multiple other aspects seemed illogical as well. The quality of the audio was below the standard I'm used to. It had good volume and clarity, but I could hear her mouth movements and breathing too much. I would get used to it and then stop to listen again later and get distracted again. Maybe. Perhaps the script and visuals would make up for some of the other qualities. Not that interesting. A woman's lib who done it that didn't keep me very engaged. It had a very fuzzy quality about the plot and little to no character development. I hope her others offer more. I have read the entire Amelia Peabody series and loved the stories and characters. I thought this would be a similar read by the same author. Not really in the same class of story though- for me. She is great no matter who the author. Was Borrower of the Night worth the listening time? Not really, I skipped a good portion of it. 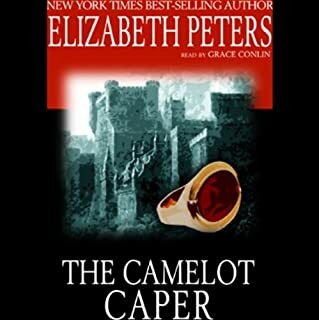 Since I really enjoy the Amelia Peabody series by Elizabeth Peters, I figured this series would be equally good. However, I'm afraid Vicky just doesn't measure up to my expectations. Barbara Rosenblat - as always - did a wonderful job of narrating, but even she couldn't make this story more exciting. Maybe some of the other books in this series will be better.